Did shacks temporarily shelter workers at Tillotson’s Vinton Street site? 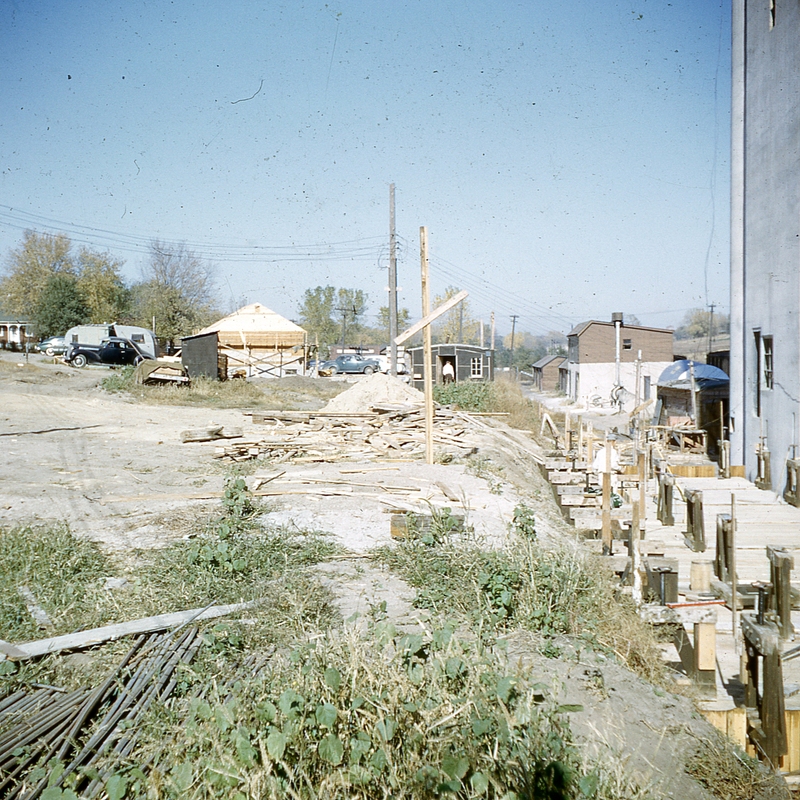 This photo from Tillotson Construction Company’s archives looks south from the site of the Vinton Street elevator, completed in 1950. On the far right you see the main house, which is finished but for windows. The driveway is formed up. Leftover rebar is in the lower left and scrap is heaped in the center. It’s unknown whether the silver trailer was being used in connection with the job, perhaps as an office. The black car, which could be a 1938 Buick, and the ugly-duckling blue-gray car, which could be a Plymouth (or maybe a Hudson? )–did they belong to employees? What especially intrigues us are the shacks along the street. Were they part of the job–again, as office space, or to accommodate workers? 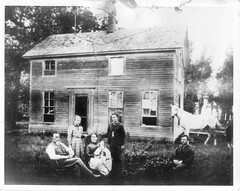 Two of my Tillotson uncles have strained their memories but aren’t able to put together this part of the story, explaining why the photo was taken. This entry was posted in Miscellany, Photography, Their Work, Tillotson Construction Company and tagged architecture, Buick, Business, construction, grain elevator, photography, Plymouth, slip-formed concrete, Tillotson Construction Company.